The sonata concept served some of the greatest imaginations in the history of music, but seriously it is, as I like to say to students, “so not a form.” Haydn, Mozart, Beethoven, and Brahms were not in need of a standardized template, and in essence what has come to be called sonata form is more like courtroom procedure: a process that allows for an infinite variety of stories to be unfold, from a fender bender to vandalism to murder. Musical form is the result of content, not the other way around. Teaching and understanding composition should be about the use of musical vocabulary to communicate a drama: the drama comes first, the form evolves. Students who have been taught to think of music as a series of forms into which composers pour their ideas, will have difficulty composing. Instead of bringing the “form” to life, as they desire to do, they build a scaffold and hang a motif by the neck till dead. The remedy for this is to teach the process rather than emphasize the blueprint: dramatic narrative grows the structure. Imagine you are in the audience at a concert hall. A pianist comes on stage and plays a violent opening phrase. Then, the music builds in unpredictable thrilling rhythms and suddenly stops. This is followed by a quiet, reflective passage based on the opening, which then swiftly builds to an electrifying climax. You love the music! Write down what you can. Imagine you are waiting for a train and suddenly a man violently pushes people around on the platform and then runs off and cannot be found. Someone who was hurt cries softly and then the violent man returns! Use this scenario to write a piano solo. Write an ABA structure for piano solo that begins with a unison theme in forte; continue it with varied dynamics and shifting rhythmic patterns. Follow this with a piano contrasting B section and then a return of the A music with an appropriate coda. 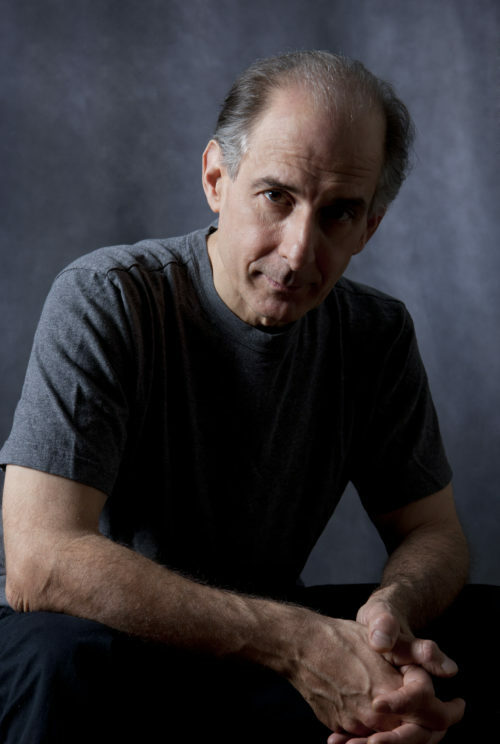 Composer, author, and performer Bruce Adolphe. Photo courtesy of Barbara Luisi Photography, used with permission. The three assignments above all describe ABA forms. The first is about imagining music as if you are an excited listener, a perspective that can set your imagination free. The second version is dramatic scenario to be portrayed musically. The scenario happens to be in a form we could call ABA, but it is described only as a human drama. The third version is a typical assignment, and rather dull — and is actually hard to do because one does not feel inspired or motivated. And, worst of all, it feels like a test. Learning about form is dull and meaningless if the way content drives form is missing from the method. To make a personal statement about form, I will write here about my recently premiered piano concerto. In this work, which I composed in 2013 and which was first performed this past summer (10 July 2016) by the Italian pianist Carlo Grante with maestro Fabio Luisi conducting the Zürich Philharmonia, all my decisions about form were the result of one dramatic idea: the emotional conflicts and struggles that people who suffer from bipolar disorder must endure. It seemed to me that a piano concerto could embody opposing states of mind, with the solo piano representing the sufferer, and the orchestra taking a variety of roles: an amplification of the piano personality in the first movement; a sympathetic psychiatrist in the second movement; and in the third movement, society itself — fast-paced, indifferent, anonymous. At no time in the process of composing this work, did I consider form as separate from the message of the drama. Certainly, this has been true for much of the music we love and study, and our teaching should reflect this reality. The slow movement of Beethoven’s Piano Concerto No. 4, for example, famously sets the powerful unison rhetoric of the string orchestra against the poetic, harmonically expressive piano soloist. As the soloist’s music unfolds, it tames the fury of the orchestra phrase by phrase. We could analyze the form, but it is the dramatic scenario that matters most. A clue that form evolves from ideas is that no two sonata “forms” by Haydn, Mozart, or Beethoven are actually the same. Each has its own way of subverting normative expectations, of challenging the very idea of conventionality. That’s because they are telling stories — wordless scenarios, but stories nonetheless. 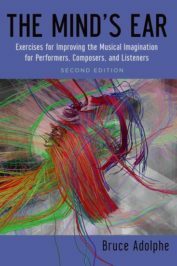 In teaching sonata form or any supposedly fixed form — even from an historical perspective — it is essential to examine how form evolves from ideas, how music is driven by a unique narrative. Compositional technique is the ability to convey a drama or message in musical vocabulary and syntax. Music is the resonance of our lived experiences, the sonic shapes of our imagination; it is born of our personal histories and dreams, and then articulated as a drama played out in abstract architecture, awaiting performance by and for those who are ready to hear the message. Featured image credit: “Music sheet” by Toshiyuki IMAI. CC BY-SA 2.0 via Flickr. Bruce Adolphe is composer, author, performer, the Piano Puzzler on public radio’s Performance Today, resident lecturer and director of family concerts for The Chamber Music Society of Lincoln Center, composer-in-residence for the Brain and Creativity Institute in Los Angeles, and artistic director of the Off the Hook Arts Festival in Colorado. His music has been performed by renowned artists and ensembles including Joshua Bell, Itzhak Perlman, Yo-Yo Ma, Fabio Luisi, Daniel Hope, Carlo Grante, the Brentano String Quartet, and over 60 orchestras world-wide. His book The Mind’s Ear was published in a second edition by OUP in 2013. You echo my own thoughts entirely. In this post-modern era form is whatever we choose to make it, the content dictates the form. It is . It good however to understand the principles of sonata form and the underlying architecture of great works. These same principles proliferate in all art forms but to concur, it is the concur ,it is the content that matters.